COMMENT | We do not normally see pieces like Fa Abdul’s piece ‘And the award for best actor goes to…’ on Malaysiakini very often. This is to say that the “serious stuff” that Fa Abdul wrote is ignored for pieces that highlight the corruption scandals in this country and not the underlying moral and intellectual bankruptcy of the opposition. I realise long-standing friends from the opposition do not like it when I write these – as one political operative often says – “screeds”. However as each day passes, I keep thinking of how even if the opposition loses in the upcoming general election, they will not have the moral or intellectual high ground. Those people who voted opposition would not be able to say they voted for change but did not succeed. If “racism” is such a big issue to people who support the opposition, if the systemic inequalities that some describe as an “apartheid” system is really destroying this country, then do we really have a future when the opposition will never address these issues? Even if by some miracle they do manage to take over Putrajaya, the opposition would always be beholden to a demographic that supports institutionalised racism. 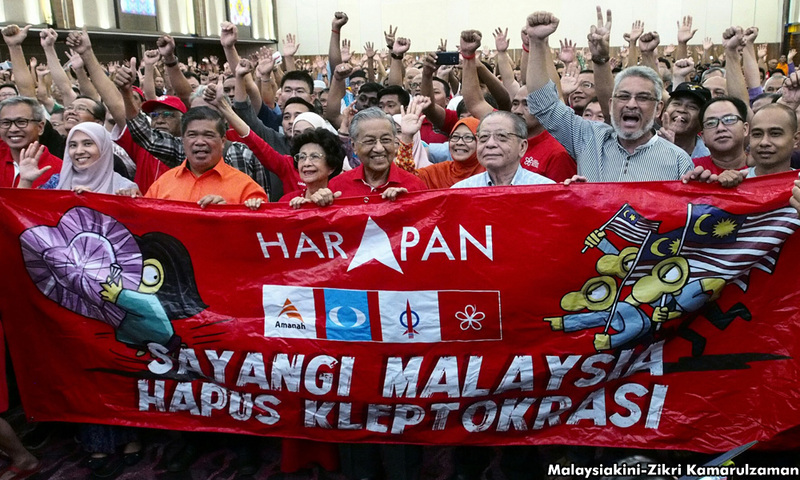 While I have claimed that a two-party system is the only moral and intellectual argument that one could make for supporting the opposition, the reality is that I think no political party is interested in resolving the systemic dysfunction in this country because the single issue of removing Najib from power dominates mainstream politics these days. Consider this piece as an attack on my own argument.